OAKDALE, Calif. (KGO) -- Recovery crews have found the bodies of two Oakland teens who disappeared after jumping into a Stanislaus County reservoir on Saturday, according to the Stanislaus County Sheriff's Department. The boy's body was found after deputies resumed their search at 7:30 a.m. on Tuesday, sheriff's officials wrote on Twitter. He has not been identified. the other missing 15-year-old boy was found hours later. 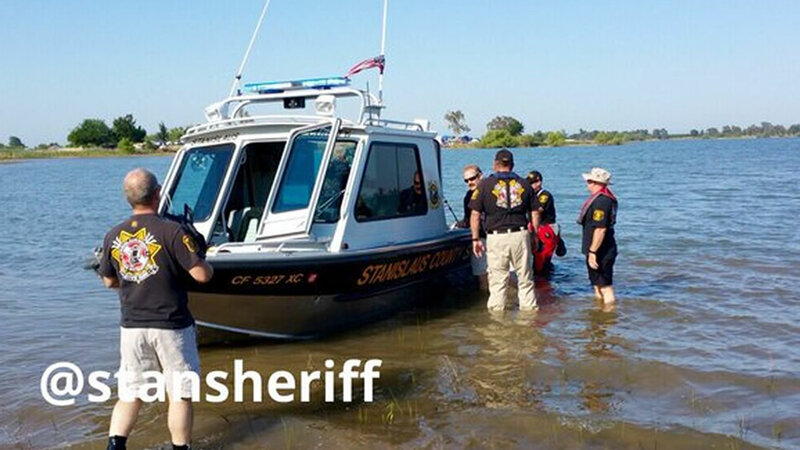 The two teens went missing when they and others in their family jumped from a boat into Woodward Reservoir north of Oakdale just before noon Saturday, according to the sheriff's department. The passengers weren't wearing a life vest. While the others safely got back into the boat, they lost sight of the two 15-year-olds. Rescue crews searched for the pair, using dive teams, air patrols, boats, Jet Skis and sonar to thoroughly search the 2,900-acre reservoir. They found no sign of them until this morning, when one of the boys' bodies surfaced. The boys attended Oakland schools. The Oakland Unified School District is offering crisis counseling for the affected students, staff and families. "Our thoughts and prayers go out to the friends and families of the missing boys," school district officials said in a statement. Anyone with information about the incident has been asked to call the Stanislaus County Sheriff's Department at (209) 521-4636.